I saw this movie last Saturday and meant to post about it, then the thread about "Why the Oscars are a con" gave me a little jolt in the right direction again. 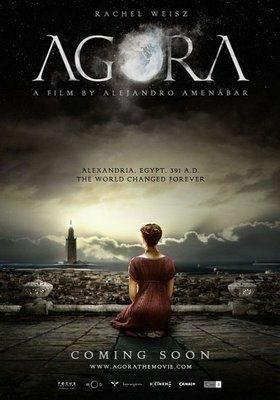 It's about Alexandria in the late 4th century, about the generation that saw Christianity become the city's official religion after the famous sack of the library. 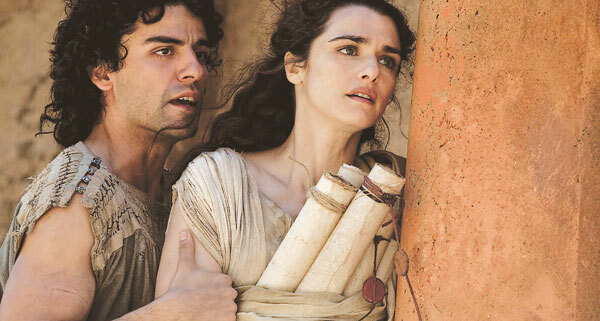 The main characters are Hypatia, a philosopher and teacher, Orestes, a student of hers who later becomes prefect, Cyril, the bishop, and Davus, her personal slave whom she emancipates and who joins the Christians. Apart from the historical-epic side of things, which is very well done, it's a terrific inquiry into fanaticism, fascism and the madness of crowds. At the start of the movie the Christians are outcasts, but when there's a pagan pogrom against them they rise up and turn out to have been a lot more numerous than anyone thought. The pagans lock themselves up in the library, then the Emperor Theodosius (who was promoting Christianity throughout the empire) decrees that they have to open the doors. The sack of the library follows. The second part of the movie takes place about ten or fifteen years later, when the power-mad Cyril is bishop and more influential than the prefect. It's an outstanding portrayal of the silencing of dissent and the oppression of minorities under a dictatorship, as the Jews are first attacked then driven out of the city, the pagans forced to convert, and all science, knowledge and debate becomes subversive. Thankfully, however, Newmarket Films will be releasing the movie here. Way to go Newmarket! I can totally see this movie either being kept far, far under the scope, or else ending up like "The Last Temptation of Christ" and starting all kinds of loud, negative reactions and controversy amongst the conservative Xtians (who are really starting to terrify me). I haven't even seen this movie (obviously) and already give it two-thumbs-up! One for content and one for possible controversy! Wow! This movie sounds like it as a refreshing perspective, which of course would rattle the powers that be and definitely put it off the radar of mainstream awards. Particularly as an allegory to modern events. So I'm in total agreement here with previous posters. Thank you for posting the trailer and screenshots. It's now on my must see a list. Political correctness serves no one. Intent Is More Important Than the Word.